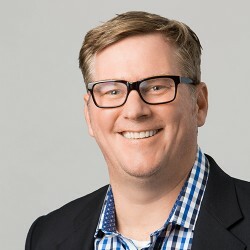 Dr. Boyle is a Cardiovascular and Thoracic Surgeon in Bend, Oregon whose career spans clinical surgery, cardiovascular research, and medical innovation. He studied medicine at University of Minnesota Medical School, and trained in general surgery and cardiothoracic surgery at the University of Washington. During his clinical training at the University of Washington, he helped lead the Cardiovascular Vascular Biology research team where he developed basic science and clinical research programs, primarily focusing on the study of tissue injury, coagulation and inflammation. Dr. Boyle has published over 75 manuscripts in peer reviewed medical journals and textbooks. In addition to obtaining NIH funding, he played a lead role in developing research collaborations with Bayer’s Pharmaceutical Division, Genentech, Zymogenetics/Novo Nordisk, Icos Corporation, US Surgical Corporation (now Covidien) and other privately held biotechnology and device companies. His research has been recognized nationally with awards from the American College of Surgeons, the American Heart Association, The Western Thoracic Surgery Association, the Seattle Surgical Society and others. Dr. Boyle was a founder of Elixis, a healthcare information technology company which was acquired by Data Critical Corporation (NASDAQ: DCCA), now a division of General Electric (NYSE: GE). Dr. Boyle is the founder of MDI, VenX, and Precision Thoracic Corporation, all early stage medical device companies where he is an inventor on a number of medical devices patent applications. Paul is a serial entrepreneur and medical device industry veteran with twenty-five years experience of leading public, private and VC-funded healthcare companies. Currently he serves on the Board and Audit Committee at CAS Medical (NASDAQ, CASM) and Velano Vascular. Previously, he was a Board member at MiCardia, LMA and VasoNova. 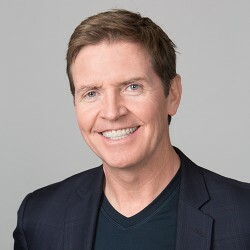 Before joining ClearFlow, Paul was CEO at VasoNova Inc.- a Silicon Valley based, venture-funded vascular navigation company acquired by Teleflex Inc. (NYSE, TFX), in January 2011. Following the acquisition, he was appointed President of Teleflex’ largest division – ARROW Vascular – having full P&L responsibilities for direct sales, US and overseas manufacturing plants, R&D and strategic planning at corporate level. Under his tenure VasoNova was successfully integrated under the ARROW Vascular brand. Prior to VasoNova, Paul was President and Managing Director of LMA, overseeing all European and Asian subsidiaries. Paul took LMA public in 2005 and later brokered its acquisition by Teleflex in 2012. Paul started his career as a practicing CRNA (Certified Registered Nurse Anesthetist) at Medical University Alkmaar in the Netherlands. In 1989 he joined Datascope Corp. where he progressed through successive sales and marketing roles with growing responsibilities. He has extensive global industry connections and is well-versed in setting up and managing international operations. He has traveled, lived and worked in Europe, Asia and the USA and is fluent in German, Dutch and English. Paul holds an MBA from the University of Chicago’s Booth School of Business. Alex Suh is a founding Managing Director with California Technology Ventures, LLC, a Southern California venture capital firm that focuses its investments in the fields of Life Sciences and Information Technology. Alex was an entrepreneur starting several businesses, helped develop the first small business incubator in the San Gabriel Valley, managed several small business lending programs, consulted with nonprofits and cities on economic development projects and taught college in entrepreneurship, business and management. Alex currently or formerly sat on the advisory board for EmTek, a San Diego based community small business lending and equity program; LARTA, a technology think tank; Claremont Graduate University’s Venture Financial Institute; and the Life Science Steering committee for State of California Governor’s Policy Office, Advisory Board member City of Hope’s International Translational & Regenerative Medicine Center (ITRC), SoCalBio (SCBC) Advisory Board member, and Member of Board of Trustees and Advisory Council member for Keck Graduate Institute of Applied Life Sciences. His community involvement included past chairman to Villa Esperanza, a school for developmentally challenged persons; distinguished president for Kiwanis; Advisory board member for Women at Work and the Crippled Children’s Society; Special Olympics coach, ocean advocate and others. 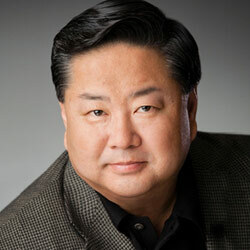 Alex was honored in 2009, Outstanding 50 Asian Americans in Business while California Technology Ventures was also named by ACQ Finance Magazine’s Technology Investor of the Year, North America, 2010. Mr. Scheetz founded Aphelion Capital, LLC in 2005. Prior to forming Aphelion, Mr. Scheetz was a partner and managing director with Piper Jaffray Ventures (PJV) for nearly eight years, focusing on investments in emerging medical technology companies. Mr. Scheetz joined PJV from Janus Capital, where he was a senior research analyst covering medical technology. Before beginning his investment career Mr. Scheetz worked in various product management roles with a subsidiary of Eastman Kodak and in sales with Kraft General Foods. Mr. Scheetz is a graduate of Colby College, Duke University’s Fuqua School of Business, and was a post-graduate scholar at Oxford University. Mr. Scheetz holds the CFA designation, and is a board member of ClearFlow, Curant, OrthAlign, and SurgiQuest. Mr. Scheetz is an advisory board member with the Center for Medical Device Innovation, and on the business advisory board of The Epilepsy Therapy Development Project.